This page includes previous Joining With Juniors columns from the 1997 issues of Across the Fence Post . For kids, this provides them an opportunity to create a truly beautiful cachet that requires no artistic talent. Yet it allows their creativity to reign as they decide which picture to use and what part of the picture will appear on the front of the envelope. Materials needed to make these envelopes can be found in the home. In addition to the paper source, you will need a template or pattern of an envelope, a pair of scissors, a pen, and a glue stick. Paper sources include, but are not limited to large magazine pictures, wall calendars, travel brochures, newspapers. wrapping paper, posters, art papers, etc. Steps for making your own envelope are self-explanatory. Your envelope pattern becomes the template for tracing and cutting the envelope. Folding may be difficult as the goal of folding an envelope is to make the corners square. It is useful to have a straightedge item such as a square piece of cardboard to use along the fold lines of the envelope so a better crease is assured. Another hint: glue sticks work better than glue for this project, as it is easier to control where the glue is going and to avoid excess. Self-adhesive stamps work best on these covers. Gummed stamps may not stick to coated paper unless you cut a small piece of self-adhesive paper just a little smaller than the area of the gummed stamp. Place that in the "stamp corner" and lick and stick the gummed stamp onto the adhesive stamp corner. With the increasing difficulty for youth to obtain postally used examples of the newer stamp issues, you may find that going on a postmark hunt offers an exciting and interesting challenge. Most homes receive far more business mail than personal mail, resulting in more meter slogans than stamps coming into the household. Even the stamped mail often includes the very common definitives resulting in few new stamps for kids to add to their collections. Use this to your advantage. Start your youth collecting postmarks. In 1990, I developed a postmark album for use at the KIDPEX stamp show. I have also used it successfully in my classroom. There seems to be something about the challenge of trying to find one postmark for each state that captivates the minds and imaginations of kids. Collecting postmarks in an album is an ideal long-term project for clubs and classrooms. Designing such an album is very easy. The album I made started out with the first page illustrating a map of the United States and a listing of each state with its two-letter abbreviation. This is followed by a page that describes and illustrates the differences between hand stamped and machine cancellations, with spaces for youth to mount a few examples. The third page introduces and shows examples of various meter cancels. That is followed by six pages of 2- by 4-inch spaces for examples of postmarks from each state. The spaces are labeled alphabetically by state name, concluding with spaces for Washington DC and Puerto Rico. A page for Wisconsin postmarks and separate pages for U.S. Postal Service slogan cancels and other interesting slogan cancels completes the booklet. For those interested in receiving a copy of this 12-page mini-album, please send $1 in stamps or cash to: MaryAnn Bowman, P.O. Box 1451, Waukesha, WI 53187. The pages can be placed between tag board or construction paper covers. When I introduce and distribute the mini-album to kids, I explain that only the postmarks from very common envelopes are being used. I show examples of envelopes that might be saved in their entirety because of interesting postal markings and/or stamps. Also discussed briefly is the way postal historians might store and display their postmark collections. Collecting postmarks can be fun and offers youth an educational challenge. It is a subtle way to introduce the hobby of stamp collecting into the club and classroom and never fails to generate excitement among the kids. In the next column, I will explore other activities to do with postmarks. Start saving those envelopes today! In last month's column, I explored the possibility of using a postmark album with clubs and classrooms. Even if you choose not to go the route of collecting postmarks in an album, there are any number of fun activities that can be had with finding postmarks. Postmarks with certain dates such as January 1, February 14, April 1, etc., also make interesting categories. The scavenger hunt could be conducted as an individual activity with an imposed time limit, or the project could be completed as a continuing activity with large charts naming the categories and hung in prominent places on the wall so anyone finding a particular listing for a category could add it to the ongoing list. Kids also love making a calendar of post-mark dates. Provide a blank one-page monthly calendar format. Have each child try to collect one example of each numbered day from the month of its birth. You might want to have them put a red box around any known holidays falling during their birthday month. Challenge them to explain to you why they may not easily find a postmark for that particular date. Children also enjoy reading slogans that frequently accompany both meter and U.S. Postal Service applied postmarks. Discuss or have the child write about the importance of the slogan message. Another challenge: choose one particular slogan and try to find as many different cities as possible that are using that particular slogan. Classroom teachers might have their students select 20 different postmarks and then ask the child to alphabetize them by city name. Fourth grade classrooms throughout the state place an emphasis on the study of Wisconsin. Place a Wisconsin road map on a bulletin board. As students encounter Wisconsin city names on postmarks, have them stick a colored-head pin into the city's location or use yarn to match the postmark to the city's map location. Fifth graders learn about our country, so any activity that will help them learn the names and locations of the states would be very appropriate. Some classroom teachers also require a state report. Students could be challenged to try to find as many different postmarks as possible from their selected states. The American Philatelic Society and the Inter-Governmental Philatelic Corporation have announced an essay contest for youth. The purpose of the contest is to encourage youth throughout the world to discover the fun and excitement of stamp collecting and enable them to share that pleasure with their friends and contemporaries. The essay is to be on the subject "Stamps: A Country's Messengers." Rules state that the essay can approach the subject with either a specific message or speak in more general terms. An essay of at least 350 words with a representation of 15 different stamps (minimum) must be presented on eight pages. Entries will be judged on the basis of content, originality, presentation, and stamps selected to convey the message. Prizes will be awarded with the first-place winner receiving $5,000 cash. A $2,500 U.S. Savings Bond will be awarded to the second-place winner. Third place prize is a $1,000 bond. Up to 25 fourth-place winners will receive a $100 bond. Another 1,000 winners will receive a souvenir cover. Not only are youth a winner, so are their schools. Cash awards of $500, $250, and $100 will be awarded to the schools of the top three prizewinners. The contest is open to youth between the ages of 8 to 12. The American Philatelic Society must receive all entries by July 15, 1997. If you would like a complete set of rules, write to: APS, P.O. Box 8000, State College, PA 16803, or to me at the address shown above. Please include a SASE. Do you know a Boy Scout who might be interested in earning a merit badge in stamp collecting? If so, plan to bring him to STAMPSHOW on Thursday, August 21, 1997. Plans are in progress to provide instruction time as well as hands-on activities associated with the hobby. Qualified merit badge counselors will he on hand to sign off on requirements completed at the event. Approximately four hours will be needed to complete most of the requirements. Scouts hoping to complete and earn their badges at the show should have completed requirement number 8 and must bring it to the show. Scouts registering for this event will have the opportunity to attend a first-day ceremony, tour the exhibit floor, visit the youth area, as well as receive direct instruction Preregistration is required and a small fee will be charged to cover the cost of supplies. Stamp periodicals (newspapers and magazines) are readily available for the youth leader. They can be picked up at stamp shows and are often found in donations of philatelic materials. Collectors who may not be so quick to donate stamps to your program are often more than willing to give you their stamp periodicals. When these items are current or a year old, the resourceful stamp club leader can find some activity to put them to good use. A newspaper scavenger hunt is an activity that can be completed as a group or in teamwork and can also be offered as a contest with prizes awarded. Large sheets of paper are divided into rectangular regions with colored markers (patchwork-quilt style). In each area, write one listing of a philatelic nature. Depending upon the lesson you wish to reinforce, the terms selected will emphasize and reinforce the concepts presented. Beginning collectors might benefit from finding examples of an airmail stamp, commemorative, first-day cover, German stamp, etc. Older children or more advanced collectors might be challenged to find a letter to the editor regarding the proliferation of stamp issues, a classified ad selling a stamp mixture for under $5, or a stamp cartoon. Cut and glue the item into the appropriate square. Find and underline the names of different countries mentioned in the newspaper. Assign one or two countries to each individual/group. Using Scott catalogs, find the following information for each country: location, government, area, population, capital, monetary unit, and year stamps were first issued. Later, have the researcher locate the country on a map and share the information learned with the group. Discuss important philatelic news stories. For example, the announcement of a rate change invariably leads to the issuance of a non-denominated stamp. Predict the illustration of the next alphabet stamp. When the outcome is known, compare it to the predictions. With the popularity of the Bugs Bunny stamp, predict the next Warner Bros. cartoon character to make its debut on a stamp. You might even incorporate an art activity and draw the future stamp design. Any developing news story could lend itself to making predictions and opening up discussions. Teach consumer education. Give each collector a pretend dollar amount to spend on stamps/mixtures. Using the classified ads, have them find three examples of ways to spend the money. Cut and paste the three ads on a sheet of paper. Write a short paragraph explaining who they would order from and why. A large area devoted solely to young collectors at STAMPSHOW 97 proved to be a big hit with future philatelists. Over 600 youngsters had the opportunity to experience the fun and excitement that our hobby can generate. The youth area concept has been undergoing radical changes in recent years. With prototypes being used at the New York Mega-Events and culminating in the version premiering at Pacific 97, it is apparent that the U.S. Postal Service and the American Philatelic Society are hoping to turn the tide and bring more young collectors into the hobby. • Stamps Around the World - Children could select stamps and carry them home in a first-day envelope. • Stamp Adventurer - A board game. • Stampers Address Labels - Touch-screen computers were used to produce bar-coded address and parcel labels. • Stamp Wizards - Kids learned how to soak stamps from paper. • Stamp Challenge - Paper and pencil games. • Computer Fun - Touch-screen computers with software developed by the Postal History Foundation used a variety of reading-comprehension type activities to provide interesting background information about stamp designs. Word searches, crossword puzzles, true/false, and complete-the-sentence activities were used to test the child's under-standing of the passages. • Geo-Safari Games - Electronic games using stamps as the media to help children learn about a wide variety of subjects. These popular games are available for sale through the APS and are quite standard in most youth areas, especially at national-level shows. For completion of six activities, children were rewarded with a gift bag worth about $25. A dinosaur stamp T-shirt was popular with the youngsters. A souvenir folder with the Pacific 97 First Day of Issue souvenir sheets was more popular with their parents. Comic books, posters, Stamper cards, and informational material were also given. If you would like a copy of the eight paper activities used in the youth area, send $1 to cover postage and photocopy charges to me at the address shown above. • Young collectors might be urged to keep a scrapbook or maintain a file of pictures and news stories that relate to the stamps of their collecting topic or country. This is especially helpful to the collector who intends to exhibit, not only because it provides useful information but also so that the youngster knows what stamps are available. • Select and clip interesting news stories. Place them into a box. Have each child draw out one story. After a brief study period, the children give a short oral report. • Write 20 names and terms taken from a particular paper on the board. In teams, the youngsters find the words and define them. It is suggested that you use a paper for which you have multiple copies of the same issue. • Have the group design bulletin boards or posters announcing your stamp club meetings. 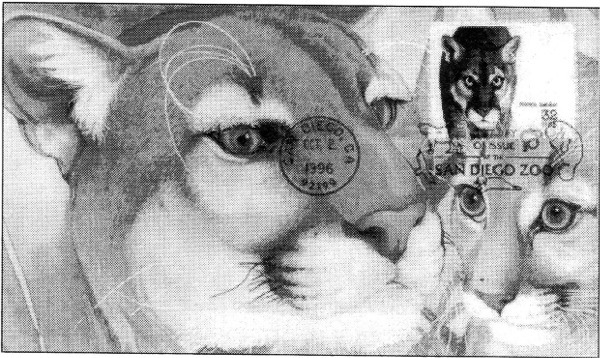 Use illustrations from the philatelic papers. • Ask each member to find, clip and paste a philatelic news article of interest at the top of a piece of paper and write a comment or reaction at the bottom. Comments are folded under and another collector(s) is asked to write a comment or reaction. Share the various reactions with the group. If your youths meet in conjunction with an adult group, it might be interesting to pair a youth with an adult for shared comments and responses. This activity helps to build bridges between generations. • Cut a silhouette of the collector from black paper. Make a collage of stamp illustrations; headlines, articles, and words clipped from the newspaper that interest the collector featured in the silhouette. • Prepare a list of questions for which the answers can be found by leafing through the newspapers. Examples: When will the stamp be issued? What stamp will be issued on ? What country will issue a stamp depicting a ? Who ? • Mount stamp illustrations taken from your philatelic literature on 4" x 6" cards. Use as flash cards with the stamp illustration on one side and the country name on the back. Other stamp cards could be made to help children learn the classification of stamps (commemoratives, definitives, airmail, etc.). • Make a collection of news photos (or photos from auction catalogs) showing errors and varieties. Discuss how these occurred or classify them by type. • Clip examples of stamp cartoons. Have your young collectors draw some of their own cartoons. • Prepare a word-search puzzle using philatelic terms found in the newspaper. Better yet, let the children create their own word-search puzzles and exchange them with other members.